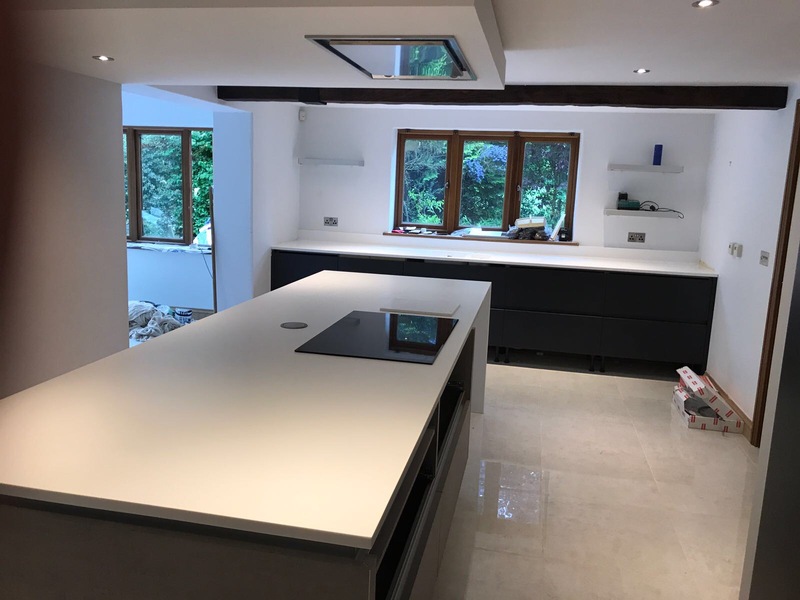 A recently fitted Krion solid surface (from Porcelanosa) for a customer kitchen in Hemingford Grey. 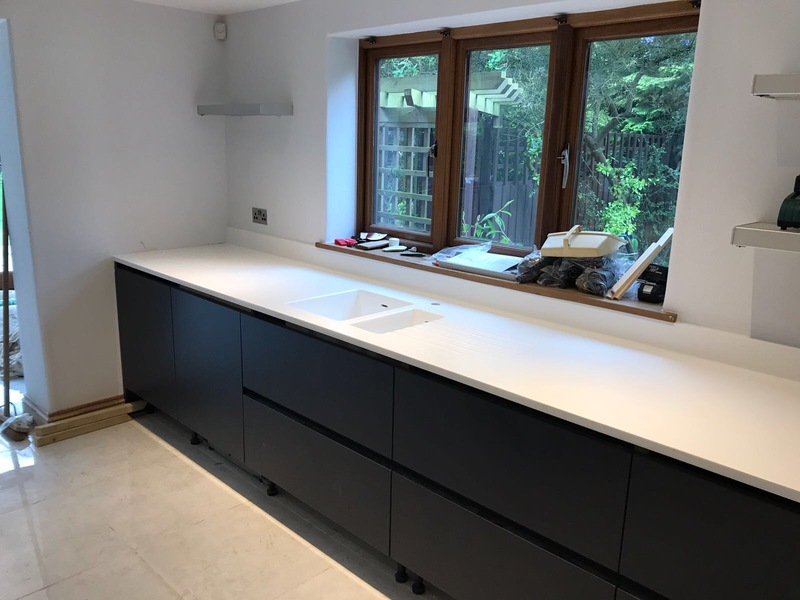 The colour is Snow White and we think it looks fantastic against the dark kitchen units and the tiled floor. 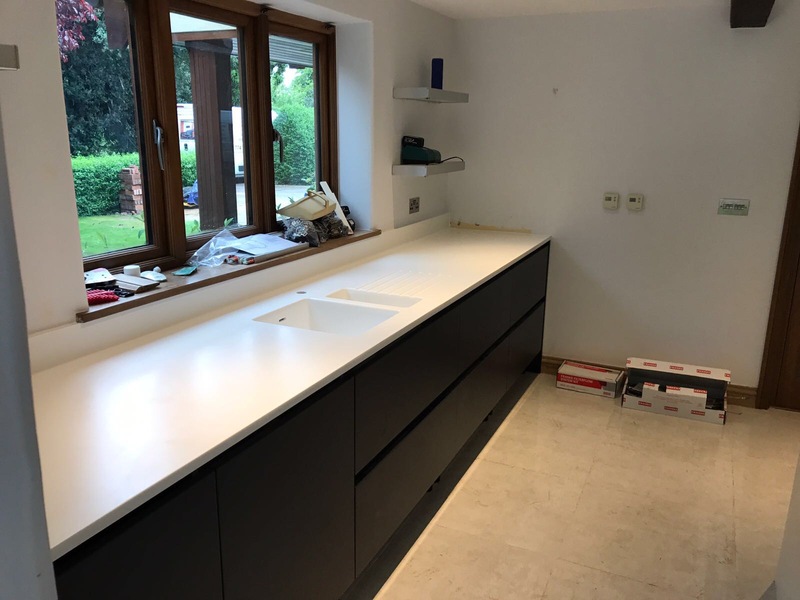 Call us today to find out more about our Krion range on 0800 774 7854.